The Ten Commandments Part V: Where are You, God? Some Got it, Most Didn’t; Will We? In the previous installments we spoke of the first 3 words (Exodus 20:2), “I am God, your Lord,” of the 10 Commandments and how they connect with the Torah’s first verse and how they contain the entirety of the 10 Commandments’ power and structure. Some of the Israelites reached Keter, and the Tree-of-life represented by alef, which when broken down (Yud-Vav-Vav-Yud) has the numerical value of 32 and thus is our physical symbol of the 32 Paths of Wisdom that are the 32 connections (energy centers and channels) of the 10 sefirot (dimensions) that comprise the Tree-of-life. One of the interesting things about the structure of the letter alef (Yud-Vav-Vav-Yud) is that the upper Yud-Vav component when spelled out equals 42 numerically, as does the lower Yud-Vav component when spelled out equal 42. Thus the letter Alef, all on its own represents the complete union of the upper and lower 42-letter Names, which chazal has explained together translate to Pad (84), redemption. It’s no wonder that the Alef represents the Tree-of-life, which according to R’ Chaim Vital of blessed memory in his book, New Writings, is really 42 and connected to the 42 Letter Name, because the 32 Paths are added to the 10 sefirot (dimensions). This is also why there are 42 letters in the names of the sefirot. They could see the words but not beyond them. We have to do everything we can to see beyond them, past the barriers of our own illusions, our own limitations. So let’s examine those 2 words, which were last used in the Torah during the killing of the first born, the 10th plague, whose initials were MB. These 2 words (MBYT ABDYM) begin with Mem-Bet and Ayin-Bet respectively, as in the 42-Letter Name and the 72 Names, which are the keys to freedom hidden within the doorways to the house of slavery. Some found these keys, most didn’t. 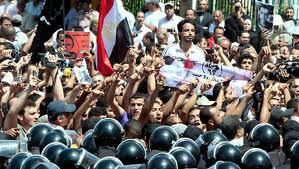 Those that didn’t weren’t really ready, even after everything they had seen. They still weren’t ready to let go completely. When we unlock the MB and AB in (MBYT ABDYM) we’re left with 5 letters that total 1024, as in the numbers of word values in the Torah, precisely 210, or 32 x 32. Moreover, concealed within teh word for slavery (ABDYM) are the initials of Mashiach Ben David, and what’s left is the Hebrew word Yi (AY), meaning “debris, ruins.” Two clear choices. When faced with a revelation of light, we can choose to embrace it, or to embrace our doubts instead. Most people choose the comfort of their doubts, and the company of their peers. And while the numerical value of MBYT is 452, so is the number of times that the value 86, that of Elohim appears in the Torah, 452 times. It’s noteworthy that found Elohim appears in both the Torah’s first verse and the 10 Utterances introductory verse (Exodus 20:1), both of whichare comprised of 7 words and 28 letters. Meanwhile, the value of (MBYT ABDYM), “From the house of slavery” is 578, a possible allusion to the year prophesied 5778. The connection to Elohim is understandable, considering that this Name (aspect of) G-d, was found 32 of those times in Creation, the first chapter of the Torah, which of course, means that the value 86 is found 32 times the story of creation and 420 times in the rest of the Torah. Things that make you go hmm! Moreover, the value 86, that of Elohim, is found a total of 62 times through the completion of the 10 generations of Adam in chapter 5, analogis to the 62 letter Yuds of numerical value 10 within the 620 letters of the 10 Commandments. There’s not much room for coincidence here. Nor room for error, as the window to the Tree-of-life opens for the 3rd time, the last time being 3330 years ago. As one would imagine there’s so much concealed information and guidance jam-packed into these 620 letters that it becomes tedious to try to maneuver through it all. So we’ll stop here and continue in our next posts, where we’ll explain what everything in the previous articles were hinting at: what happened at Mt Sinai; what were the two paths in the Torah that followed; and what’s hidden in plain sight within the 10 Commandments that describes what the next few years will bring. The implications for us today are extraordinarily profound, which is why all this tedious background enlightenment into the workings and encodings of the Ten Commandments (Utterances) and to its connection to the whole Torah were necessary. The Torah must be seen as a whole, and the 10 Utterances as a special moment or window in time if we are to welcome the next cosmic opening. 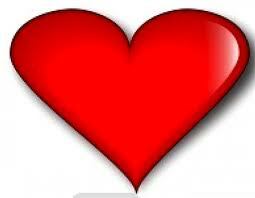 Author Jeffrey MeilikenPosted on February 16, 2011 Categories RevelationsTags 10 commandments, 1024, 111, 173, 31, 32, 3330, 42, 42-letter name, 452, 5778, 62, 620, 72 Names, 84, 86, alef, chaim vital, cosmic opening, Elohim, gematria, redemption, Torah, tree-of-lifeLeave a comment on The Ten Commandments Part V: Where are You, God? First there were the 10 plagues which cleansed out the negativity (klippot) of the 10 sefirot of the negative (or inverse) Tree-of-life. Then there were the 10 doubts that cleaned out the the negativity (klippot) from the 10 sefirot (levels/dimensions) that had crossed over into Malchut, our world, the lowest of the 10 dimensions of the positive Tree-of- life. Then we were ready, or so we thought, for the 10 Commandments. We’re covering the 10 Commandments over many parts not only because of their depth and their importance as the high point (keter) of the Torah, but because they play a role in our lives and for our generation bigger than any of us could imagine, and we’ll reveal exactly what that is–perhaps our biggest revelation to date–by the end of the series. For now, we need to understand them and the mechanics behind them better. So while the total number of letters, words, and verses in the entire Torah total 390,625, which is 6252, or an astonishingly exact 58, the number of letters, words, and verses in the actual 10 Utterances (Commandments) is 620+172+13 = 805, the numerical value of “The rainbow,” which was G-d first Covenant (brit) with Earth. That there are 9 paragraphs is probably not coincidental either as the numerical value 625, that of H’keter (The Crown) is found 9 times in the Torah, and keter (Crown) of value 620, as in the 620 letters of the 10 Commandments, is found 10 times that many times, or 90 times. As we’re dealing with the moment the Israelites touched Keter, it should be noted here that the number 10 (or any multiple of it) is in a proportion with the year 5778 (2018 CE) that spells out the 173 Keys (the 42-Letter Name) which were given to Moses, and that are necessary to achieve the final redemption, according to chazal. For example, 10,000, or 104, representing Keter, when divided by 5778 yields 10,000/5778 = 1.7307026, or a perfectly graphic rendition of the shem mem-bet (173 keys); the 70 nations, etc; 702 (Shabbat); and the YHVH (26). Readers of this blog and of The Divine Calendar know full well the significance of the number 70 and the role that the time span of 70 years repeatedly played in the Israelite history, so we should point out that the 10 Commandments (Utterances) occur in the 70th Chapter in the Torah. And if what we’ve recently learned about the role the 10 Commandments are to play in out future, G-d is very serious about keeping the Sabbath (Shabbat), so none of the numbers in the above equation are superfluous. So, it’s pretty obvious to us, as it’s always been to the tzaddikim, that in the relationship between reaching Keter, which means receiving the Mashiach and the Tree-of-life consciousness, the understanding the 42-Letter Name (the ability to access the 173 keys) and the year 5778 is a most important one. It was important enough to etch onto the cosmos and to build the Torah around, and important enough for G-d to reveal to us today only 7 years shy of 5778. We always look to the seed level of anything to find its outcome, for as with a seed and the eventual tree that grows from it, its entire genetic blueprint is already there, and so it is spiritually as well with our actions. In this case, we’ll look to the first verse in the section, Exodus 20:2, and to the first verse in the Torah to which it connects. We know from chazal and have explained numerous times and in depth in The Genesis Prayer how the 42-Letter name is integrally connected with the Torah’s first verse as both a remote control for the Torah and as the seed of Creation itself, so we’ll skip that here, and instead point out the Torah’s first verse’s interesting connections to keter and to these 620 letters. OK, so we know that the 7 words in the Torah’s first verse are connected to chochma/wisdom, of numerical value 73, because their total value is equal to all the positive integers through 73, and we know that the letter Yud (Y) of numerical value 10, represents the sefira of Chochma in the YHVH, and that there are 62 Yuds in the 620 letters of the 10 utterances, but what we didn’t know was that the word values of each of the Torah first 2 words (9 letters) are repeated a total of 62 times in the Torah. So let’s think this through. The Torah’s first 2 words’ numerical value are found 2 x 31 (the numerical value of El, G-d, and thus is Lo, “don’t”) which the value if the Yuds amongst the 620 letters of the 10 Commandments is 20 x 31, El. 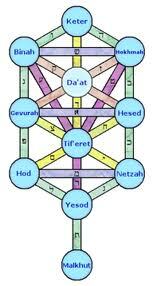 From 2 to 20, a multiple of 10, as we’re climbing up the 10 Sefirot of the Tree-of-life to Keter. For a tree to grow, a seed must be planted. Back to the Torah’s first verse. While the actual 4th and 6th words (totaling 4+6=10) in the Torah (Et and V’Et) are found a total of 3450 times in the Torah, or 345 x 10, with 345 being the numerical value of both Moses (Moshe) and Hashem (G-d), the total number of times that their word values reoccur is exactly 622. There are also 62 times that the 2nd word and or it’s value, 203, reoccur. So the first 2 words together and independently connect to 62 and the 4th and 6th together do as well. So if we add up those 622 and 62 and connections, we get 62 x 65 of them, all within the first 7 words of the Torah, and since 65 is the numerical value of Adonai, representing Malchut, the connections stretch from Keter all the way down to Malchut. This compares with the 7363 total word occurrences and word value recurrences for those 1st, 2nd, 4th, and 6 words in the Torah, all of them connected to 62. And for some reason 7363 – (62 x65) = 3333. It seems almost too perfect. Or they may be yet another clue and piece in the puzzle, and have something to do with the 3330 years between the twp tree-of-Life opportunities in 2448 at Sinai and in 5778. So maybe the fact that 1+2+4+6 = 13, as in the 13 verses of the 10 Utterances, isn’t a coincidence either. And as for words #3, 5, and 7 of the Torah’s first verse, whose collective numerical value is 777, their total word and word value recurrences is 3125 or 625 (H’Keter) x 5. Is it possible that this is yet another rendition and clue to 5-777, or 5777 (2017 CE)? In order for Moses to have led the Israelites to Keter at Mt Sinai in the seed had to have been planted 2448 years earlier. And in order for us to experience it would take another 3330 years to reach full height (maturity). But before we can climb it, we have understand it and the best way to do that is to understand the seed that spawned it. So what connects the Torah’s first 7 words and its 70th Chapter, where we find the 10 Commandments? For one, they are connected by 107,007 letters, and just as the sum of the integers through 73 equals the T0rah’s first verse, the sum of the integers through 107 equals 5778. 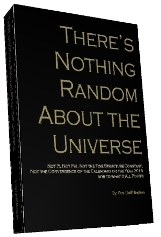 Nothing in the Torah is situated randomly. Everything has a purpose and is part of a plan. Wouldn’t you like to know what that was? Just note for now, that what’s happening all over the Mideast right now is directly related to what’s happening to the 70 supernal ministers over the 70 nations and what’s happening to them is directly related to our shift through the 70th chapter of the Torah. We’re getting closer. Part IV will follow shortly. The Torah instructs the High Priest to wear 8 garments, 4 of white linen and 4 containing gold. The Hebrew words for “for splendor is ‘L’kavod‘ of numerical value 62 and for “for beauty is l‘tiferet of numerical value 1111. 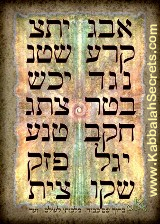 Without the prefixes (L) and subtracting the kolel for the 2 words, splendor and beauty together = 1111. Thus through the singular construct 1111 and the 4 ones(1), the Torah is hinting at a unification. Similarly, the two Lameds (L) with the kolel of 2 = 62, so through the two references to the number 62, this verse and thus the set of 8 holy garments are linked back to the 10 Utterances with their numerous connections to the number 62 and keter (620), as we’ve previously discussed in depth. And by the way, 620/8 = 77.5, a numerographic representation of 5778 backwards. Please note further that the letter alef of numerical value 1, when spelled out is 111 and thus 10 x alef (111) = 1110, add the kolel (1) and we have 1111. And we know from Rabbi Chaim Ben Attar of blessed memory as discussed in his Ohr HaChaim that this unification is of the Tetragrammaton YHVH and Adonai, (EDNY), each of which have 4 letters to match the 4 and 4 sets of clothes. He quotes from the Tikunei Zohar: “The four golden garments are an allusion to the four letters in the name Havayah [YHVH], whereas the four white linen garments are an allusion to the four letters in G-d’s name Ado-nai. [EDNY]” Since the YHVH is Zeir Anpin (the bundled 6 dimensions of Heaven), and Tiferet also represents Zeir Anpin there’s no mistaking which attribute pertains to which set of clothes. Together, as discussed in previous blogs, YHVH and EDNY combine to form YEHDVNHY of numerical value 91, the same as amen. If we take the spelled out value of the 12 letters in Adonai (ELP-DLT-NVN-YVD) along with their kolel we get 683 and if then them add the aspect of the YHVH at the level of Zeir Anpin (Mah), which is (YVD HE VEV HE) of value 45, we get 728, which appropriately is 8 x 91. But what’s significant for us is that the 8 garments represent the all-important unification that causes our prayers to ascend when amen is said is reply to a blessing. This is what helped the High Priest to obtain atonement for the people. And Aaron, the only person in the Torah whose name was linked with the word Moshiach, was the first to wear these 8 garments and was “The One” the Torah specifically said they should be made for. And we should also note that the breastplate that the magical Aaron wore, and that contained all the 42-Letter name of G-d inside and all the answers in the universe in Hebrew is Choshen, of numerical value 358, the same as Moshiach. There is deep understanding here. 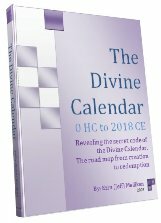 Moreover, we know from The Divine Calendar that nearly all the significant Biblical dates end in 8 and all include the number 8, including 2018 CE and 5778 HC. We also know that the midpoint in King David’s life, 2889 HC is also the midpoint in the divine calendar from Adam to Moshiach (the messiah) in 5778. We can now understand why: within the 8‘s is the holy unification. 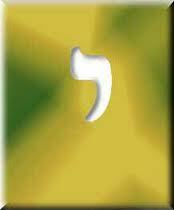 This holy unification, according to the Zohar, is hinted at in the first word (V’ahtah) of this weeks portion Tetzaveh. Rabbi Shimon of blessed memory and the the Zohar further discuss that the unification is the union of Zeir Anpin and Malchut that occurred while the 2 Holy Temples stood and that must occur again in the end of days. The verse above, Exodus 28:2 refers to 4 garments made of gold and the word for “gold” in Hebrew has the same numerical value as the name David, 14, or 28/2. And when we spell out the name David (DVD) we get the 8 letters DLT VV DLT, which adds up to 434 +12 + 434 = 880, and with the kolel, it totals 888. 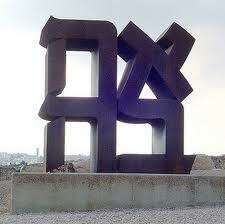 Likewise, the first two 7-letter columns of the 42 Letter name of G-d matrix add up to 888. The first column is 471 and the second one is 417 and thus 417 + 471 = 888. 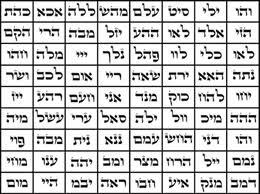 The second column though, 417, can be added with its kolel for the 7 letters to get 417 + 7 =424, the numerical value of Mashiach Ben David. There were Two Holy Temples and the two Houses/Temples, Be’it (BYT) and Be’it (BYT) each have the gematria value of 412 and 2 x 412 = 824 and when we add the kolel for the 6 letters and the 2 words we get 824 + 8 = 832, as in 832 BCE (3338 HC), when the First Holy Temple was destroyed. The number 832 also represents the time frame that both temples stood, 410 and 422 years respectively, which means that the 2 Holy Temples stood for almost exactly 1/4 (24.99%) of the 3330 years (66.6 jubilees years between the giving of the 10 Utterances (Commandments) and the Torah at Mt Sinai and the year the tzaddikim have said H’Moshiach (the Messiah) will arrive in 5778. In 3338, the Holy Temple was destroyed, setting up the 2nd exile, the 70 years of force rule in Babylonia, but all things in the ancient calendar have their counterpart in the modern one and in 3/3/38 the first oil well was discovered in Saudi Arabia, setting up 70 years of Arab fortune at the expense of Israel and the Jews. Those 70 years ended in 2008, when the price of oil sank 72% and the Saudi investments in Citibank sank even more, along with much more Arab investment and influence around the world. Something spiritual snapped in 2008, the supernal ministers had changed and by January 2009, Israel was once again able to fight and defend itself with the strength and protection from above with a massively successful incursion against Hamas and with a lopsided victory not seen in years. Instead of videos of Israelis committing what the world called atrocities against the Palestinians, what came out of Gaza were stories of Rachel Amenu warning and saving Israeli soldiers. With the shift in the supernal ministries came a new president of the US, the 44th, as in 4 + 4 = 8 and 44= 88/2. And while that is nothing more than a sign for the moment, the shift also brought the forced-by-circumstances confession of Bernie Madoff And even though many of us found ourselves wiped out by him, the truth is they already were, just not on paper yet. With the shifting of the supernal ministers, the internal hemorrhaging finally stopped; Instead of $50 Billion, it could have been $100 billion stolen. This is not to say that the markets in general won’t continue to decline and that chaos won’t continue to spread throughout all sectors of the world and life, because they will, but certain elements of the world society will B”H no longer enjoy the protection from above that they once did, and others who repeatedly fell victim to them, B’H will no longer be so vulnerable. The tide has turned. The Sea (H’YM) when spelled out has the numerical value of 666 and the 66.6 jubilee years are almost up. So if we add the letters in House of David (Beit M’David) spelled out we get 838+ 80 + 880 = 1798 + 18 (letters) and 2 (words) = 1818, which as we’ve discussed in a previous blog was what Rav Abraham Azulai of blessed memory pointed out in Chesed L’Avraham to be the 3rd iteration of the spelled-out letter Alef. 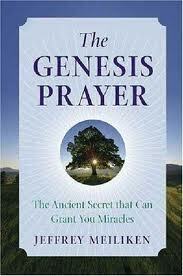 This was the same book in which he fingered the year 5760 for the beginning of the final 18 year period. Give Obama credit. He stepped up to the plate. Things are not going as he planned, nor as his supporters planned. And they won’t. The ministers have changed; the playing field has shifted along with them. We must step up too. G-d speaks to Moses and in the first two words of this portion, He says to him, V’atah Tetzaveh, (VETH TZVH), “And You must Command”. And while the gematria value of Tetzaveh is 501, the same as Barack Hussein Obama, and the value of the second word (v’atah) is the same as Be’it, (house or Temple, 412), the value of both words is 913, the same as Bereshit, “In the Beginning). It is a new beginning. It’s up to us to build the right house.